Brit Award British Breakthrough Act of 2017 Rag'n'Bone Man has been announced as the headliner for Edinburgh's Hogmanay Concert in the Gardens. Previous performers at the annual New Year's Eve shindig have included Paolo Nutini, Biffy Clyro, Lily Allen, Pet Shop Boys and Kasabian. 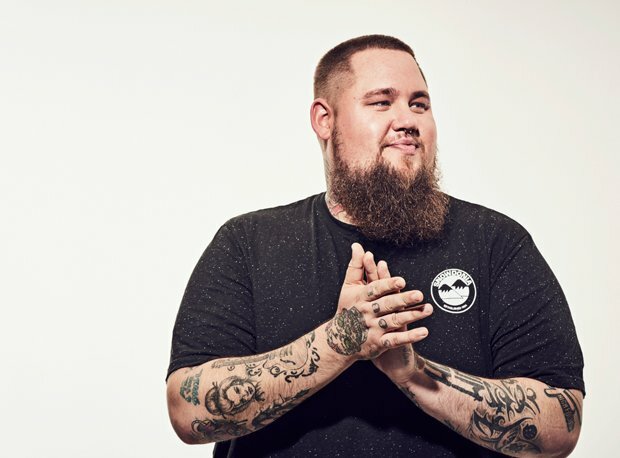 Rag'n'Bone Man's 2017 album Human became the decade's fastest-selling debut album by a British male selling and knocked about the Top 10 for 29 consecutive weeks. So far this year he has played Glastonbury, TRNSMT and Bestival and is about to start his Overproof Autumn tour of the UK, which sold out in a few hours. The Concert in the Gardens takes place in Princes Street Gardens and includes live music and a cracking view of the iconic midnight fireworks. Doors open at 8pm for a 9pm start, with ticket holders also given a wristband for access to the Street Party. Support acts are still to be announced for Underbelly's first Edinburgh's Hogmanay. Tickets go on sale Tue 12 Sep at 9am at at edinburghshogmanay.com and (+44) 131 510 0395. Hip hop, soul, blues and funk from the London-based artist.